GRN20+ is a delicious, easy to mix formula, containing a broad spectrum of nutrients, vitamins and digestive probiotic live cultures. Ideal for a busy lifestyle when you can’t get your daily serving of fruit & veg. Cheaper than blending your own smoothies and far less messy. A delicious way to get fruits and vegetables into fussy family members. Why should you take GRN20+ Daily? 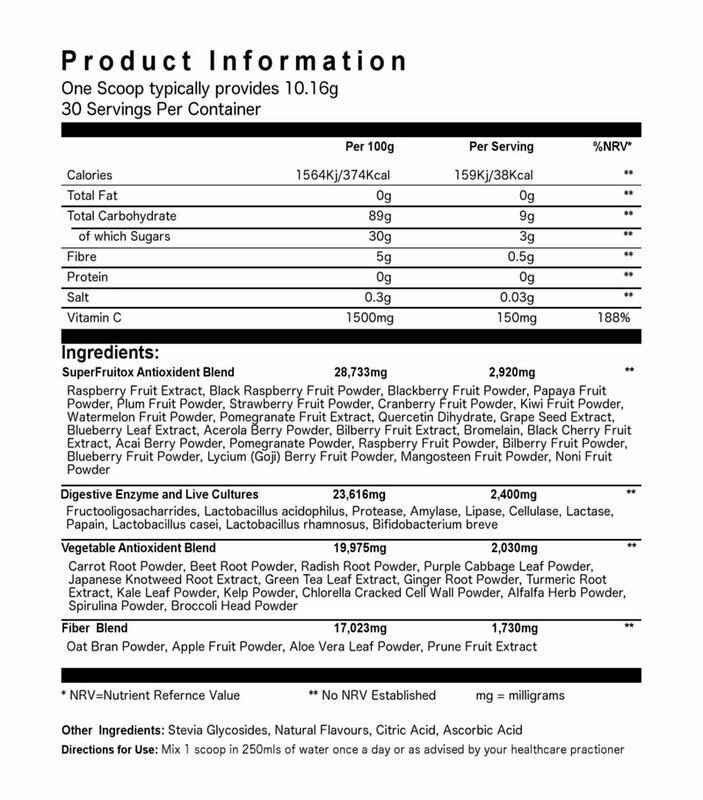 Variety of Fruit and Vegetables:It’s hard to pack a broad spectrum of nutrients and vitamins into our daily diet. 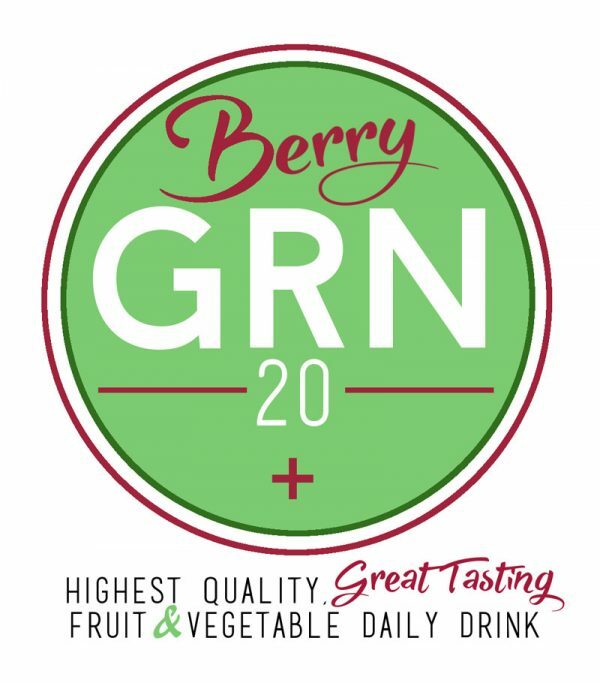 GRN20+ provides the variety of 20+ servings of fruit and veg, helping you to take an important step towards optimal health. Nutrient Density:Intensive farming methods have lead to a substantial fall in nutrient density of vegetables and fruits in our food chain. 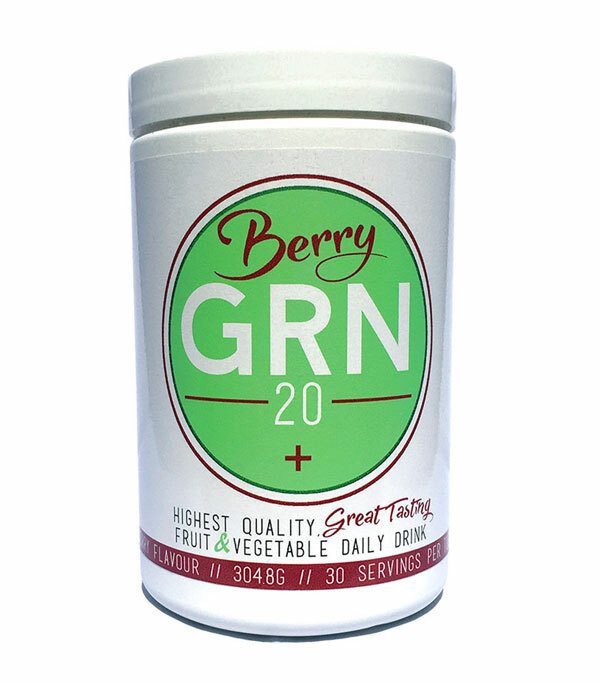 GRN20+ is a powerful and convenient way to add high quality phytonutrients to your diet. Gut Health:GRN20+ adds probiotic strains and digestive enzymes to your diet through friendly live cultures alongside soluble fiber to improve digestion and overall gut health. Recent research also shows that the benefits of probiotics go way beyond the stomach, including helping to avoid infection, boost your immune system, improve women’s health, fight obesity and prevent allergies. Boost Energy and Metabolism:Having the right nutrients helps your body have the energy it requires throughout the day. This combined with all natural stimulants like green tea extract, help to increase energy whilst increasing metabolism for a healthy way to speed up fat burning. Joint Health:GRN20+ contains a number of vitamins that your body uses to synthesise collagen. Collagen is a key part of cartilage, tendons and ligaments, so is essential for healthy joints. GRN20+ also contains ginger and turmeric, both are linked with reducing inflammation. 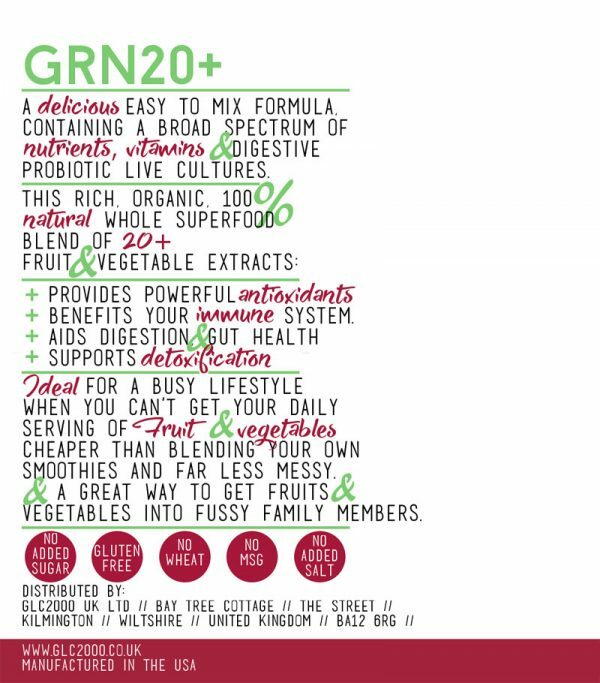 GRN20+ is a non-GMO superfood blend that is gluten free, with no added sugar or salt and contains no preservative, wheat or MSG. 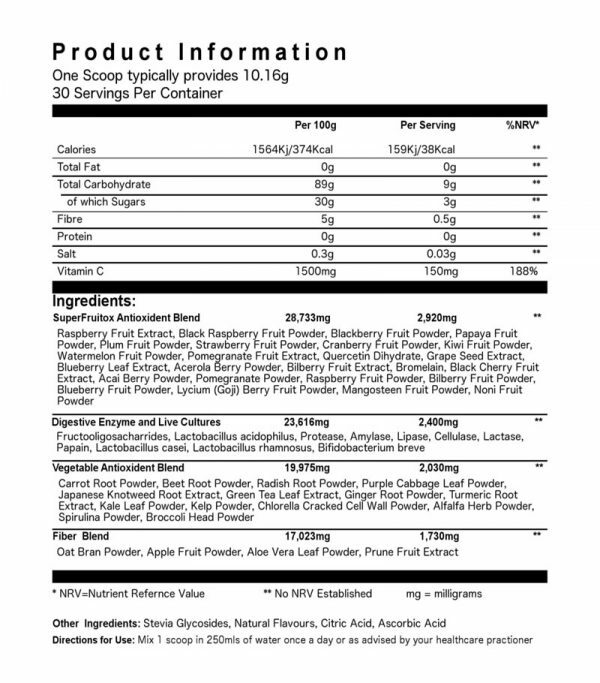 I like this product and it’s working very well in my daily supplemental routine. Hopefully it will keep me training hard throughout the festive period. The only problem I do have is the delivery, with this and the joint supplements before both delivery’s have been badly delayed, which is a real shame as its the only negative I have to say of the GLC company. I decided to try GRN20+ after successfully using GLC2000 to help me rehabilitate my shoulder. It tastes great and if you mix it properly there’s hardly any residue left to down at the end. GRN20+ ensures I get a daily superfood fix that’s hard to intake on even the best of diets. 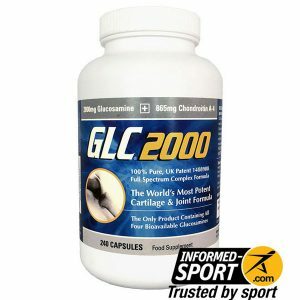 I use the GLC2000 joint formula regularly, and really do struggle to get enough veg & fruit into my diet daily.. GRN20+ ensures I’m hitting my needs. It tastes good and mixes really well, so would definitely recommend to a friend. Love it. Geat taste and does what it says on the label. Nice taste. Not a fan of the little bits that sit at the bottom though. Amazing flavor and a good way to get part of your 5 a day.